Self propelled plow that pulls in irrigation (3/4" or 1") or cable (1/2") lines to a depth of 12" WITHOUT digging a trench and disturbing sod. 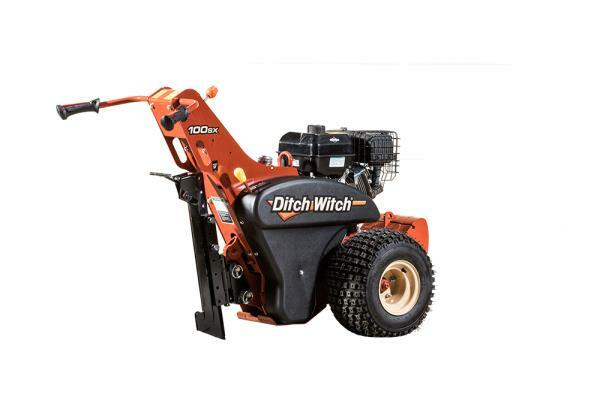 Ditch Witch model # 100SX. Includes mounted reel rack. * Please call us for any questions on our walk behind vibratory plow rentals in Calgary, Alberta.